Every October, artists all over the world take on the InkTober drawing challenge by doing one ink drawing a day the entire month. This year I am joining this great initiative by making and posting a drawing every other day. Its a great help to improve my drawing skills and also helps me set goals and achieving them. This is the second batch of drawings I did. I am using Sketchbook on a Samsung Note 10.1 – 2014 with an S-Pen. 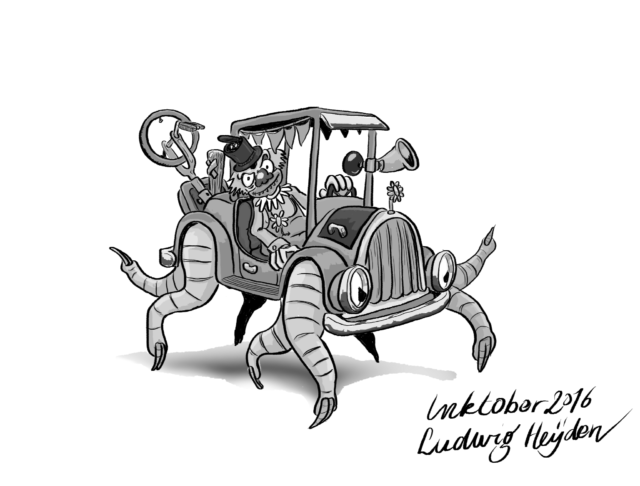 InkTober day 11: Transport. 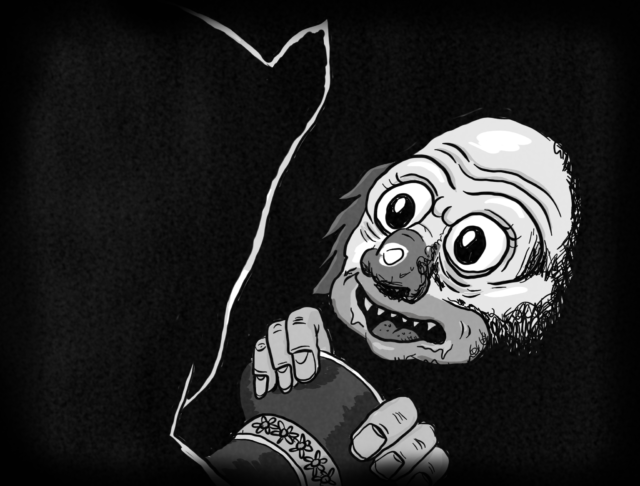 Killer Clowns now also invading InkTober!! InkTober day 13: Scared. Batman showed those Killer Clowns who is boss. 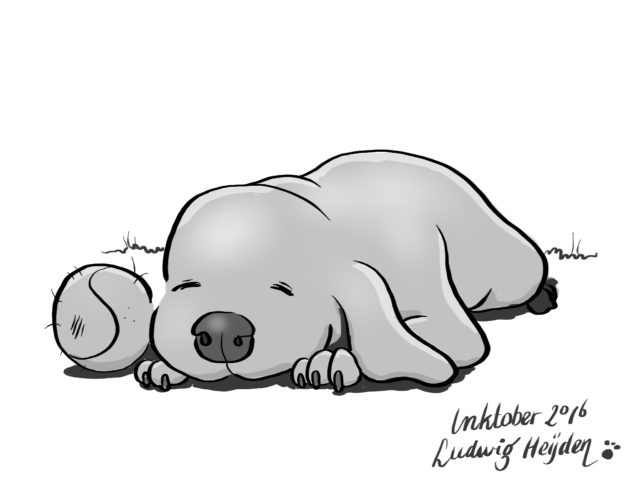 InkTober day 15: Relax. After a hard day’s work this puppy needs to relax. 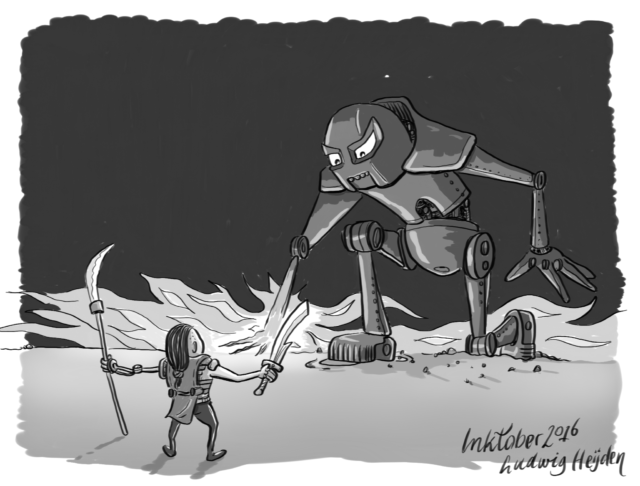 InkTober day 17: Battle.The robot wasn’t sure: “Is this little guy starting a battle?”.